Midnight Rider Instagram Contest ! 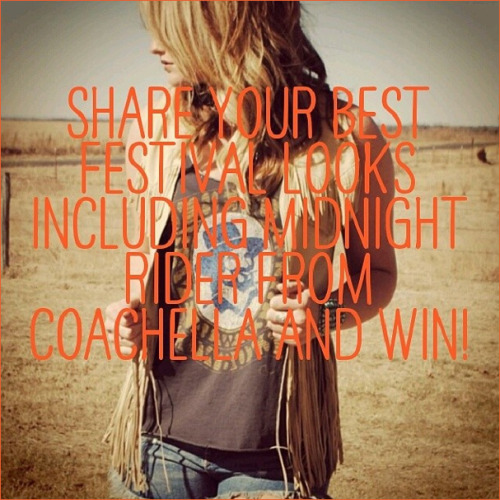 Share your best festival looks including Midnight Rider from Coachella and win! Tag @shopmidnightrider and #midnightriderdoesthedesert in your photos from Coachella for a chance to win a $250 gift card. One winner will be picked each weekend, don’t forget to bring us with you!